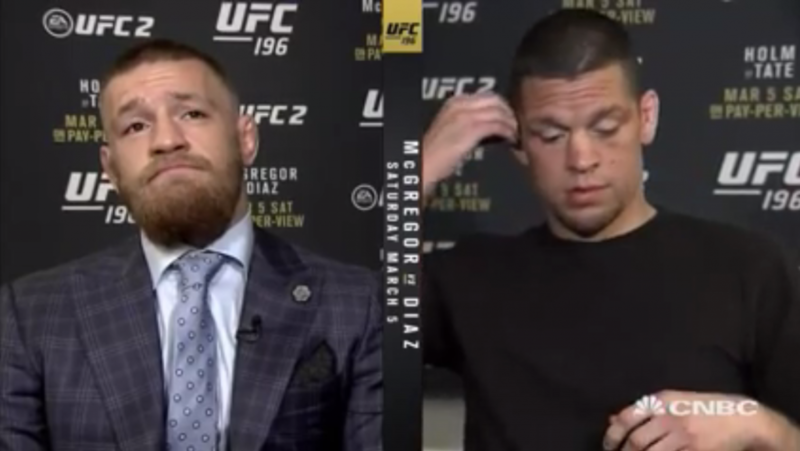 Conor McGregor seemed poised and confident during this interview with CNBC news reporter, but Diaz seemed uncomfortable and worried form the start. Almost makes you feel bad for the guy. At one point mid-interview, Nate decides he’s had enough, and walk out. McGregor continued to charm and even flirt with the reporter.